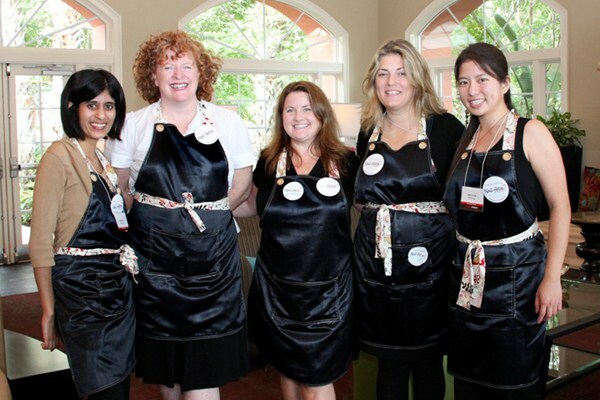 The NAILS Team (Sree, Cyndy, Hannah, Michelle and Kim) in our cute Green Apple Aprons. Partygoers enjoy their fun-filled goodie bags. New friends and old...everyone was busy mingling at the BeautyTech Networking BBQ. BeautyTech Webmaster and founder Debbie Doerrlamm and industry veteran Vicki Peters have been involved in these networking events for many years! We were so happy to be part of it this year! 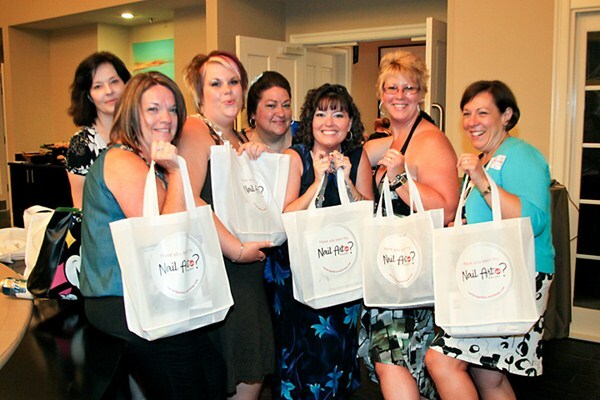 On Sunday, June 6, BeautyTech and NAILS Magazine partnered for a very special networking event bringing together close to 200 nail techs to meet new friends, catch up with old friends, and win a ton of great prizes. BeautyTech holds the event every year for its online members to get together and network in person. This year NAILS joined forces with webmaster Debbie Doerrlamm in order to debut our new online Nail Art Gallery in style. Nail techs and nail manufacturers spent four fun-filled hours chatting, dining, partying, and signing up to create their own profiles on Nail Art Gallery at the clubhouse and veranda of the Hilton Grand Vacation Sea World. A special thanks to sponsors Action Bag & Display, China Glaze, Dashing Diva, Green Apple Aprons, Hand & Nail Harmony, Light Elegance, Minx, Nubar, and Orly Instant Nail Art for making the event such a wonderful success and donating great goodie bag and raffle items. And thanks to more than 50 companies for donating even more great raffle prizes and discount coupons for shopping at the show! Click here for a slide show with lots of pictures from the party!